On Aug. 28, 2018, the Milken Institute School of Public Health released a study concluding with 95-percent confidence that Hurricane Maria had led to the “excess” deaths of between 2,658 and 3,290 U.S. citizens on the island of Puerto Rico. It so happens that the average figure of 2,975 deaths is nearly identical to the 2,974 people who perished in the horrifying 9/11 attacks that occurred 16 years earlier. 9/11 triggered a radical change in U.S. foreign policy and massive new expenditures on military operations across the globe, justified as preventing further attacks. Between 2002 and 2017, the war on terror cost the U.S. government $2.8 trillion, according to the Henry Stimson Center — as well as the lives of over 6,700 U.S. military personnel and counting. During that period, Islamic terrorists killed an average of about six American civilians per year—1/80th the number of Americans who accidentally kill themselves or another with a personal firearm annually. By contrast, in 2018 Congress begrudgingly authorized $15.4 billion dollars in disaster relief for Puerto Rico—though the storm had caused $100 billion in damage and the Puerto Rican government had requested $94 billion to repair the shattered housing and electrical systems. 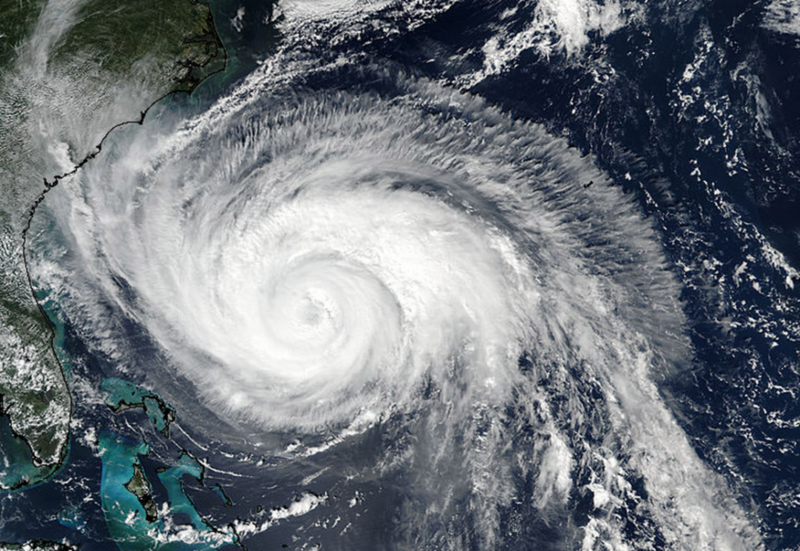 Why did two catastrophes similar in human cost lead to such radically different responses? What killed so many Puerto Ricans? Hurricane Irma first rocked Puerto Rico on Sept. 7, 2017, leaving nearly a third of its 3.3 million people without electricity. Thirteen days later, Hurricane Maria directly struck the island, its eye passing within 25 miles of the capital of San Juan. At that point, Maria was a Category 4 storm measuring 50 miles in diameter with winds as high as 155 miles per hour. Puerto Rico’s power grid was decades out of date, its Electrical Power Authority beset by corruption, its water system substandard and its government afflicted by a decade-long economic crisis which had caused a spiraling decrease in population and tax revenue. Inhabitants of Puerto Rico suffered from twice the rate of poverty, unemployment and self-reported fair or poor health in comparison to the U.S. average. Under these circumstances, it was easy to anticipate the heavy damage likely to result from the most violent storm to strike the island in 80 years. Hurricane Maria destroyed 80 percent of Puerto Rico’s powerlines, 85 percent of its 1,600 cell phone towers and 80 percent its crops, worth $780 million. The storm smashed 87,000 homes into flinders and heavily damaged four-and-a-half times that number. Flash floods knocked out water and sanitation services, forcing islanders to drink from streams and ponds which had been contaminated by overflowing sewage. Many Puerto Ricans subsequently were sickened, and some perished from leptospirosis—a disease caused by drinking water contaminated by animal urine. Ten days after Maria hit, only 45 percent of the population had access to potable water. Just 7.7 percent of Puerto Rico’s 5,073 miles of roads were open for driving, cutting many communities off from assistance and desperately needed food and water. Though the carrier USS Abraham Lincoln had earlier been deployed to assist Florida with recovery from Irma, she and her valuable helicopters, necessary to reach isolated communities, were not deployed to Puerto Rico. It took three weeks before the U.S. military had 70 helicopters active over Puerto Rico—a number which Texas received only six days after Hurricane Harvey. The island-wide power loss would take nearly a year to fully restore, becoming the largest blackout in U.S. history. Meanwhile, elderly or sick individuals that depended on electrically-powered medical devices such as dialysis machines died in increasing numbers. Death rates from those afflicted by emphysema, sepsis, diabetes, and pneumonia all increased 31 to 47 percent. The massive shortages of food, water and gasoline for use in generators could only be alleviated at great expense due to an old protectionist law called the Jones Act, which required all of the island’s import to pass through a U.S. port. The act was waived for ten days starting Sept. 28, but the waiver was then allowed to expire even though the shortages, and the dying, were still ongoing and would continue for months. Sen. John McCain introduced a bill to repeal the Act, but it was not even heard on the Senate floor. FEMA had managed to deploy only 10,000 personnel to Puerto Rico, compared to the 30,000 dispatched to aid Texas. That number would eventually double. Initially, the U.S. military was not involved, as it could not intervene on U.S. soil without a direct request from a civilian authority—a request only made by FEMA a week after Maria’s landfall on Sept. 27. 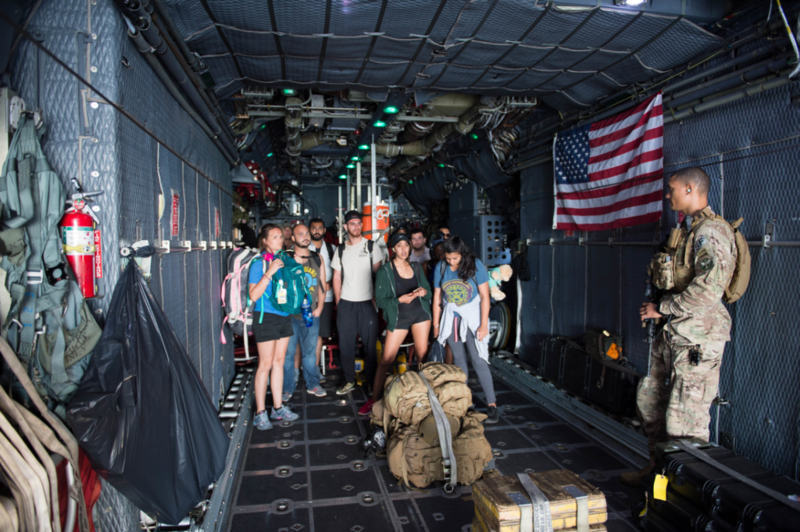 The following day, the first of 17,000 U.S. troops began deploying on the island to restore power, rescue survivors, and provide food, water and medical care. On Sept. 29, despite initial reluctance to incur the cost, Trump deployed the hospital ship USS Comfort. She remained there for 53 days, but bureaucratic red-tape resulted in only an average of six in-patients being received a day on a ship with 290 hospital beds and a crew of 800. Later, Puerto Rican health officials certified 64 deaths as being directly attributable to the ‘kinetic effects’ of the hurricane including drowning, flying debris, and collapsing structures. However, the Center for Disease Control also attributes to natural disasters deaths caused by resulting malnutrition, exposure, thirst or lack of electricity needed to run life support devices. However, doctors in Puerto Rico were not trained according to these standards. To determine a more accurate death toll, the governor of Puerto Rico commissioned the study by the Milken Institute. Its researchers first established historical monthly death rates in Puerto Rico between 2010 and 2017, then adjusted for the eight percent of the population which left the island because of Maria. Using these figures, they calculated the expected number of deaths under ordinary circumstances and subtracted that from the total number of deaths reported to the Department of Health. The difference of roughly 2,975 is how many more deaths were reported than would have been expected under ordinary circumstances. More than 800 of those additional deaths occurred in the first two months of 2018. 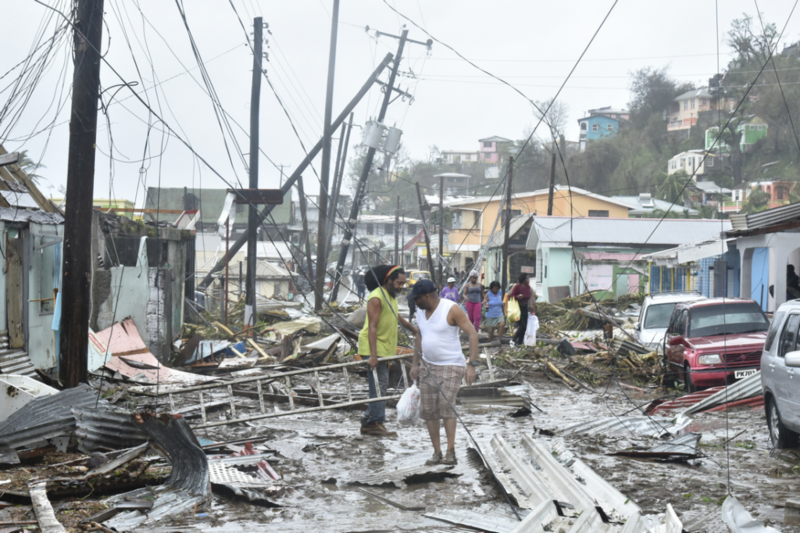 The study found that while death rates increased evenly across all demographic groups by 20 to 30 percent in the immediate aftermath of Hurricane Maria, in later months mortality for adult males over the age of 60 remained 40-percent higher than average and 45-percent higher for low-income citizens in poor rural areas. Going for months without secure access clean water, adequate food and electrically-powered lights and fans, would ordinarily pose a severe health risk to the frail and sick. Going without dependable electricity for medical devices proved fatal for many more. The cumulative disasters also led to a spike in suicide, which had previously been in a long-running decline. Calls to the PAIS suicide hotline more than doubled, while three times more Puerto Ricans reported attempting suicide—and the number of those who succeeded increased as well. On Sept. 4, 2018 the Government Accountability Office released a report lashing the Federal Emergency Management Agency’s efforts in Puerto Rico—the largest and longest operation in the agency’s history. A significant part of the problem was that FEMA had exhausted many of its resources dealing with Hurricane Harvey and Irma. However, the most respected disaster-relief specialist, Mike Byrne, was kept managing recovery from Hurricane Harvey in Texas long after the situation there had stabilized, instead of being assigned to prepare for Maria’s impact on Puerto Rico. In advance of Hurricane Maria, the wealthiest country on the planet managed only to deploy a total of four generators to Puerto Rico and eight shelters that could house a total of 306 people. FEMA pre-stocked only 1.6 million meals and 700,000 liters of water, compared to 4.8 million meals, 9.9 million liters of water and 249 shelters delivered to Florida. The GAO report concluded that 54 percent of the Federal Emergency Management Agency personnel dispatched to Puerto were not qualified for rescue work, and that many lacked adequate physical fitness “to handle conditions on the island.” FEMA, furthermore, was unprepared to assume local government responsibilities—even though the need to do so was easily foreseeable—and lacked adequate Spanish-speaking employees for communication and translation. Certainly, there were major logistical challenges to moving materials on an island a thousand miles away from the U.S. mainland. Yet such obstacles did not prevent the deployment of the 82nd Airborne Division across the 7,000 miles from Fort Bragg, South Carolina to Saudi Arabia in August 1990, followed by an even greater buildup of supplies, personnel and material in the months leading to Operation Desert Storm. The U.S. government even conscripted jet liners through the Civil Air Reserve to accomplish that build up. Why was the United States more capable defending Saudi oil fields in 1990 than keeping its own citizens alive on a Caribbean island in 2017? Bear in mind that Hurricane Maria resulted in the deaths of 14 times more Americans than the Gulf War did. In March 2018, Politico published a report detailing the many ways that FEMA lavished far more disaster relief on Texas and its citizens than it did for Puerto Rico. The report concluded that a lack of attention and pressure from top-level administrators and the U.S. president explained the anemic recovery effort. One problem is that, unlike Hawaii, Puerto Rico is not a U.S. state and thus lacks senators and congressional representatives with voting privileges that can advance its interests and garner political support. In recent years, Puerto Ricans have twice voted in favor become a U.S. state in referendums, albeit under controversial circumstances. After Hurricane Maria, Puerto Rican commissioner Jenniffer González formally requested accession to statehood. However, little progress has been made, even though the Republican Party has repeatedly included Puerto Rican statehood as part of its platform. Making Puerto Rico the 51st state would grant Puerto Rico’s beleaguered government political and financial leverage to deal with its ongoing crisis. Despite the specific circumstances surrounding the botched federal response in Puerto Rico, it is merely an especially glaring example of a broader trend. Imagine how the U.S. government would respond if every year, bombers from a hostile power killed an average of 29,000 American citizens? The response to such attacks would be nothing short of massive. Yet, that is roughly the number of annual “excess” deaths caused by synthetic opioid overdoses since fatalities began skyrocketing in 2013—and that’s merely deaths above the baseline of tens of thousands of deaths caused by other kinds of drugs. Of course, both major political parties eventually did rhetorically recognize the seriousness of the opioid epidemic, and Congress set aside $3.3 billion dollars to combat it in a 2018 budget. Meanwhile, the Pentagon plans on spending four-and-a-half times that amount to build a single new aircraft carrier. U.S. politicians justify the hundreds of billions of dollars spent on the armed forces as serving to protect American lives and interests. However, despite a massive failure to protect American lives and interests in Puerto Rico on a scale comparable to 9/11, the federal government did not expend 1/100th of the resources to prevent future loss of life under similar circumstances. This is not to argue that threats from hostile state and non-state actors don’t have to be dealt with. However, there are many non-military threats that kill and maim far more Americans than jihadis and Chinese stealth fighters—think contaminated drinking water, unsafe infrastructure, suicide, contagious diseases, mass shooters, drug addiction, food insecurity and so forth. But because these more mundane threats cannot be used to justify massive spending by the military-industrial complex, only comparatively minuscule resources are devoted to combating them. Even these relatively modest expenditures are often scornfully opposed by some politicians. The botched response to Hurricane Maria is yet another example of a failure to invest in genuine human security—a paradigm that recognizes all threats to citizen’s health and survival, not just those caused by bombs and bullets, are worthy of national concern.